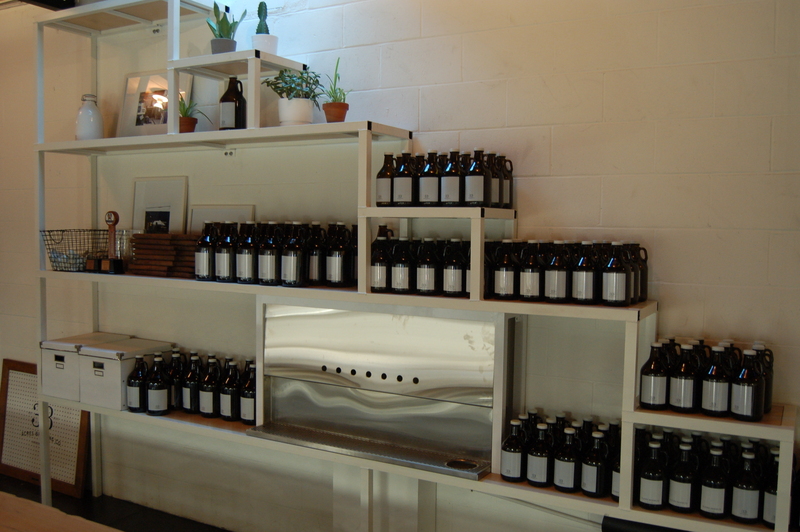 These offerings include cheese plates from Benton Brothers, pretzel boards from Bestie, hand-crafted ice cream from Earnest Ice Cream and some great sandwiches from Gastown staple, Nelson The Seagull. 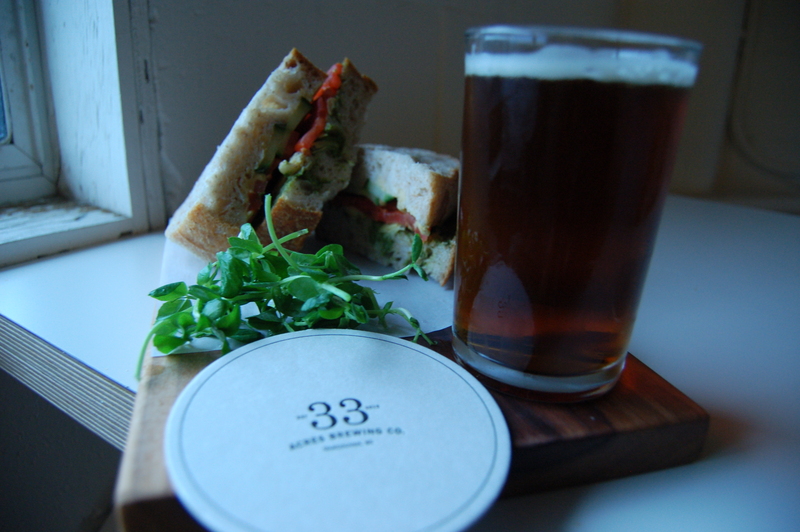 Head in for lunch any weekday and pair up the Carnivore sandwich with a 33 Acres of Darkness “Schwarzbier” or their Herbivore sandwich with 33 Acres of Life “California Common”. 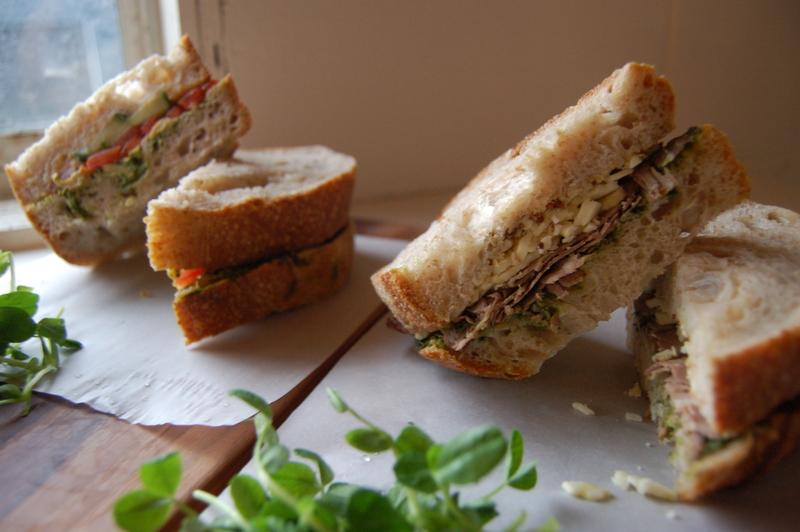 Nelson The Seagull’s Carnivore comes with rare roast beef, cilantro pesto, boerankaas cheese and mustard on their signature artisan bread. 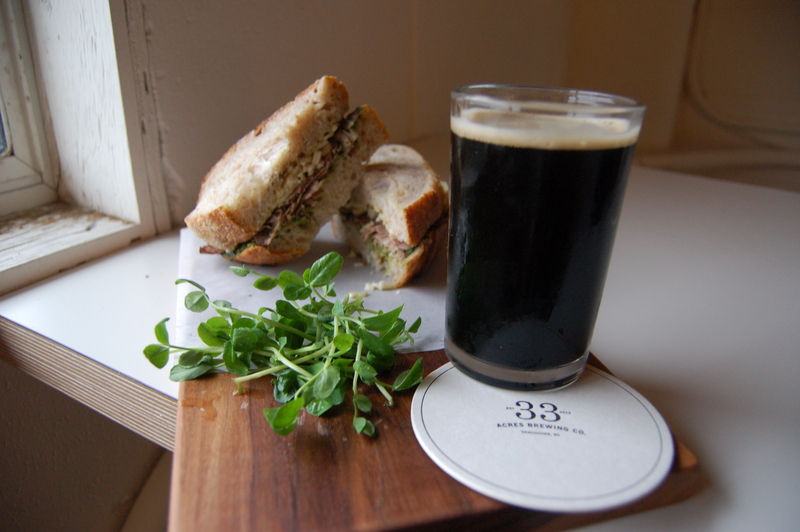 The roast beef, along with the boerankaas; which is a Dutch farmhouse cheese similar to Gouda, marry nicely with the robust roasty flavours in 33 Acres’ version of this German style black lager. The Herbivore comes with hummus, cilantro pesto, cucumber, tomato and artichoke hearts on the same signature bread from Nelson The Seagull. All these ingredients compliment each other nicely and pair well with the clean and refreshing California Common style ale from 33 Acres. 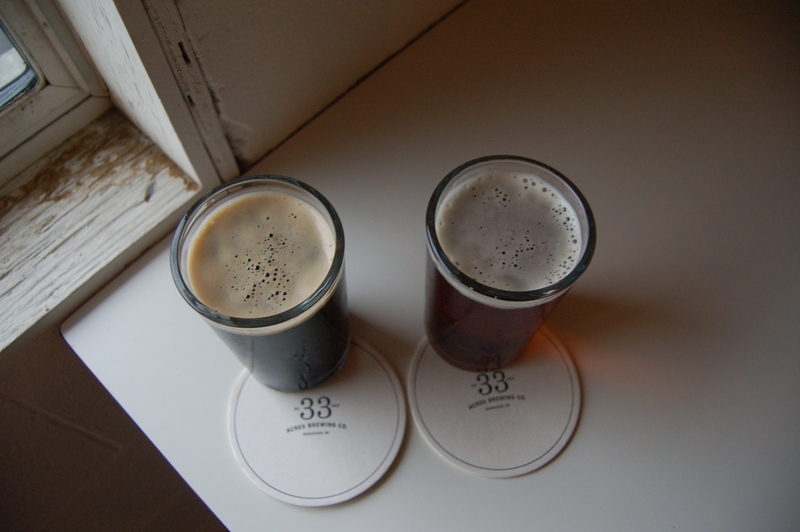 When you’re heading into 33 Acres, one thing is for sure, you’ll find top quality when it comes to both food and drink. 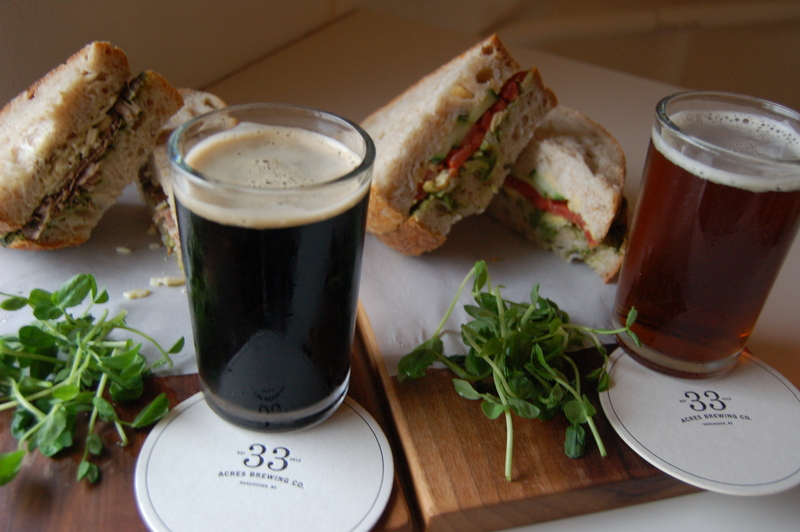 So if you’re looking for some beautifully crafted beers along with artisan bakery sandwiches in a chill and comfortable room, then head to 33 Acres Brewing Co for This Sandwich and That Beer. 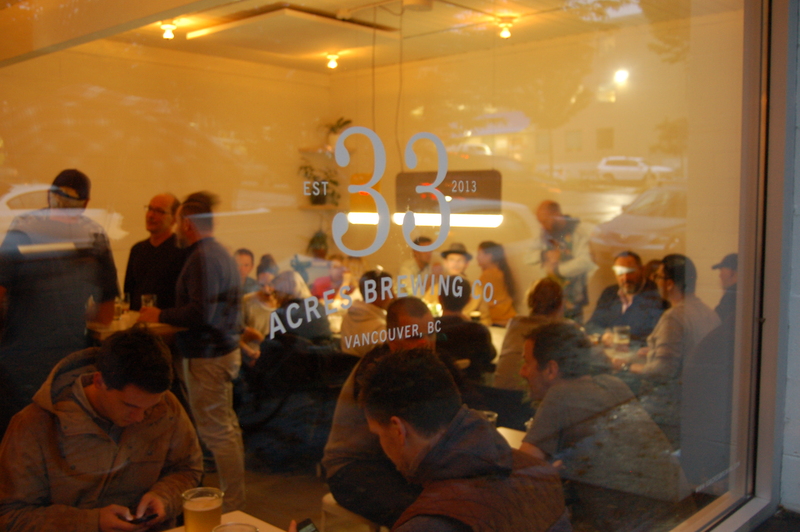 Check out www.33acresbrewing.com and www.nelsontheseagull.com for more info, follow them both on Twitter @33acres and @gastownseagull, and follow me @tstb_blog. Head to Legacy Liquor to pick up these or another great beer from 33 Acres. Also, listen for my monthly feature Saturday Jan 31 on Just Here For The Beer radio on Team 1410AM in Vancouver at 12pm. 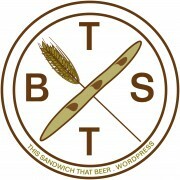 This entry was posted in Uncategorized by thissandwichthatbeer. Bookmark the permalink.